Definition at line 930 of file IpcIoFile.cc. Definition at line 934 of file IpcIoFile.cc. Definition at line 974 of file IpcIoFile.cc. Definition at line 949 of file IpcIoFile.cc. 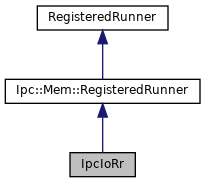 References SquidConfig::cacheSwap, Config, Ipc::Mem::PageId::ioPage, Ipc::FewToFewBiQueue::MaxItemsCount(), Store::DiskConfig::n_strands, Ipc::Mem::NotePageNeed(), QueueCapacity, and SquidConfig::workers. Definition at line 962 of file IpcIoFile.cc. References SquidConfig::cacheSwap, Config, Ipc::FewToFewBiQueue::Init(), Must, Store::DiskConfig::n_strands, QueueCapacity, ShmLabel, and SquidConfig::workers. Definition at line 943 of file IpcIoFile.cc.